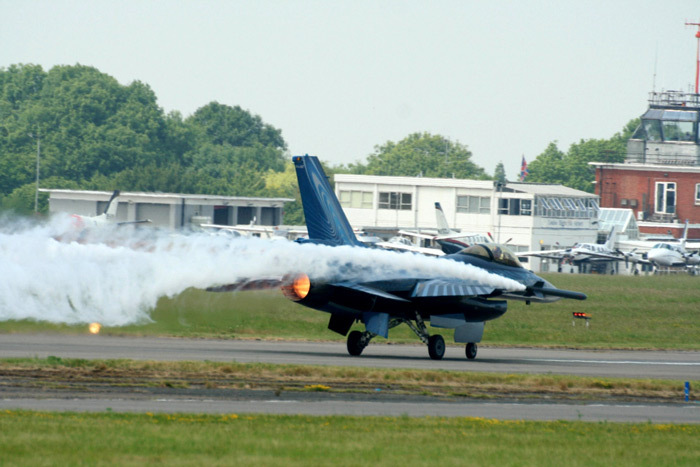 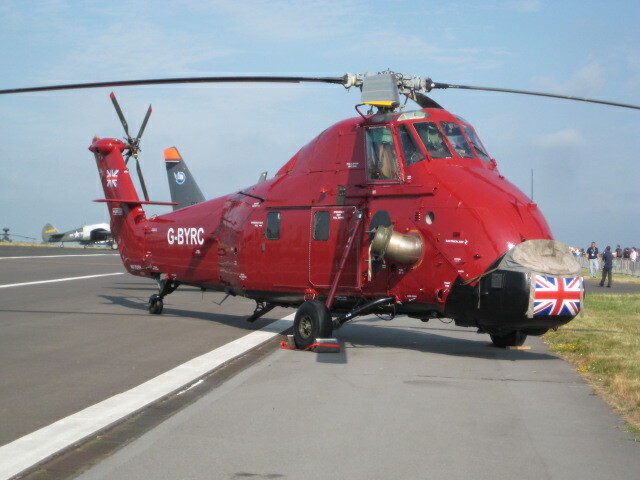 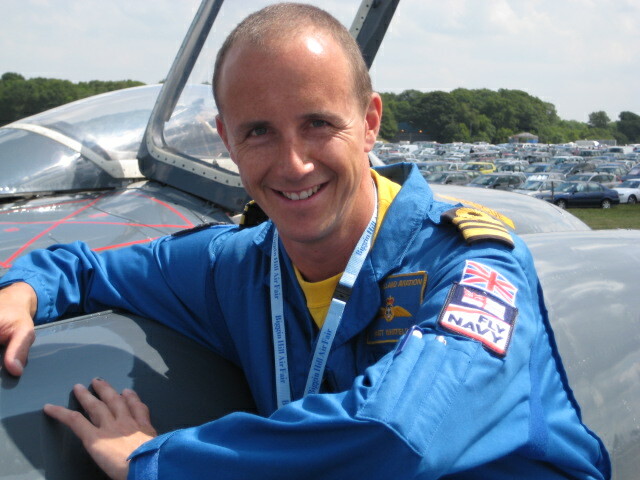 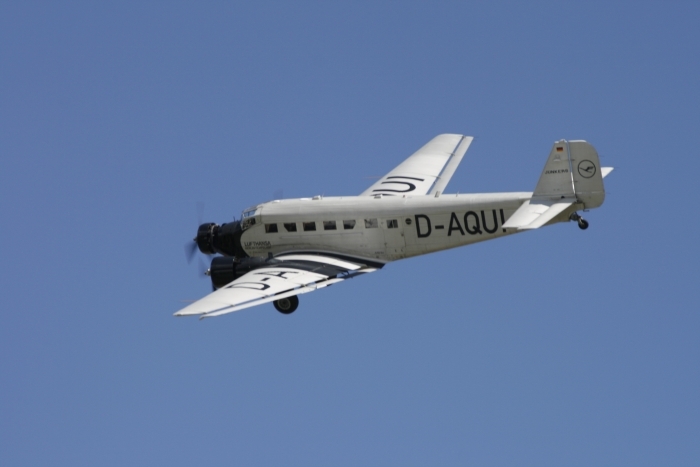 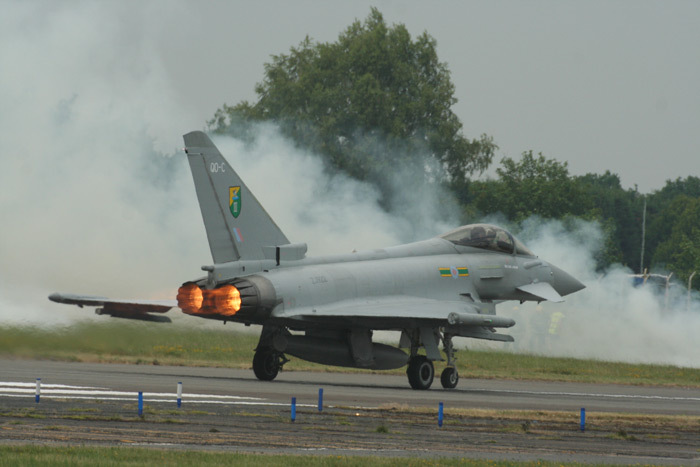 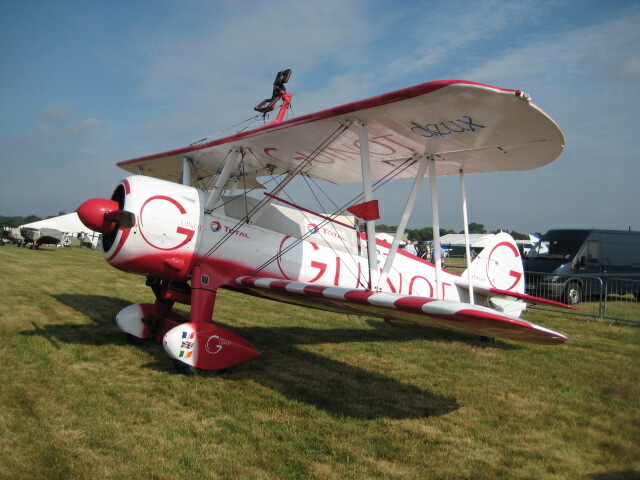 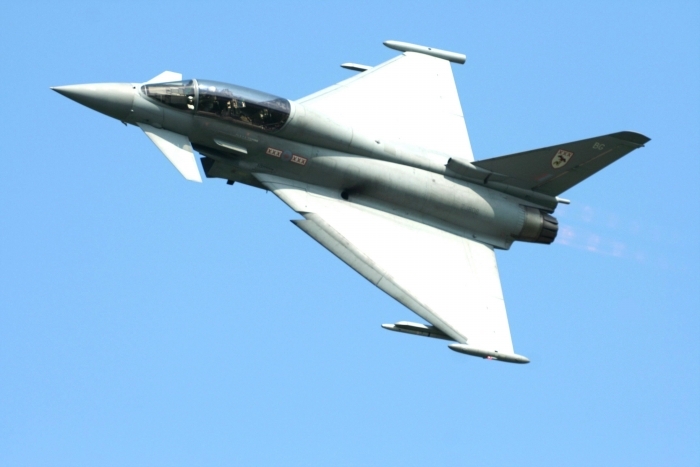 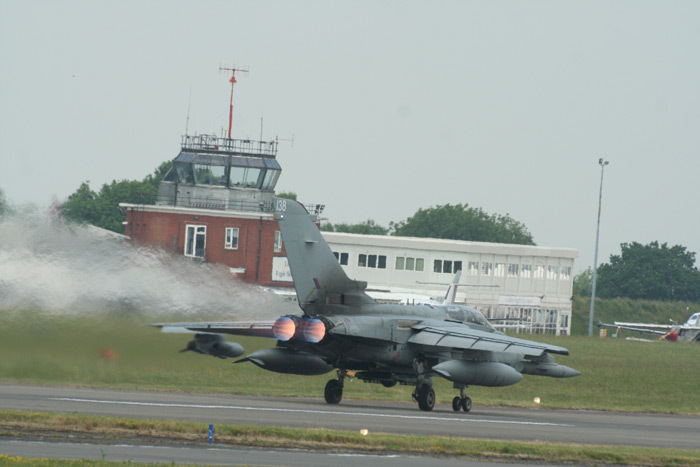 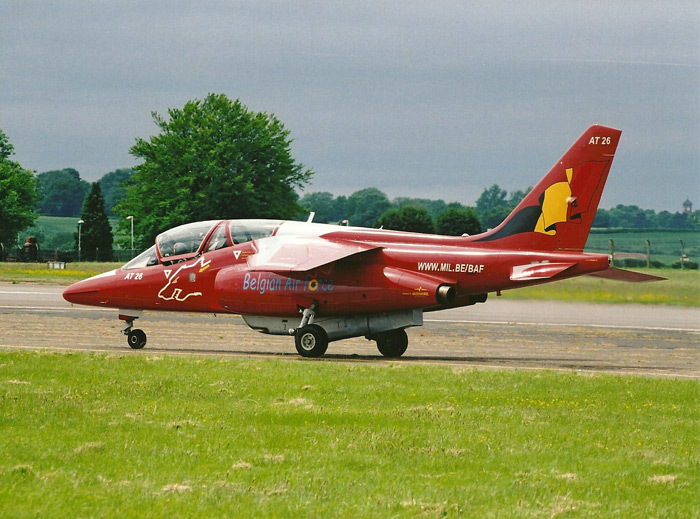 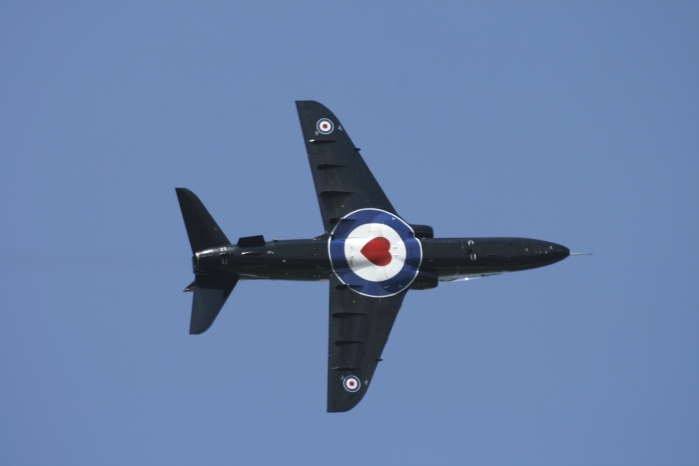 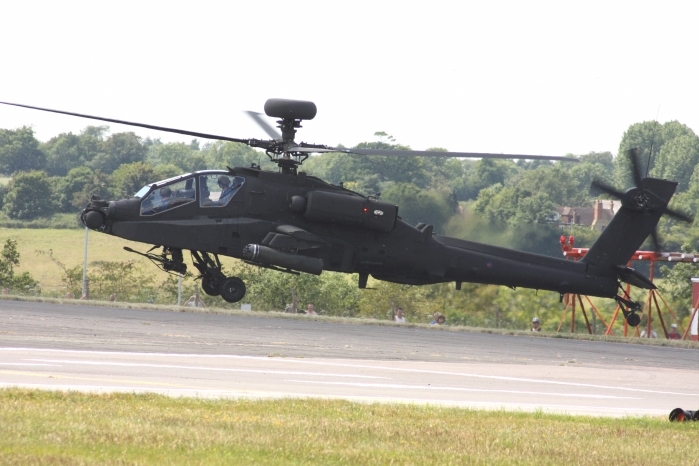 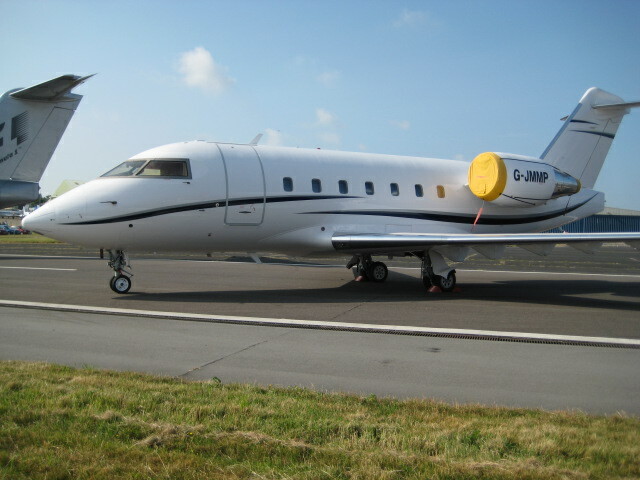 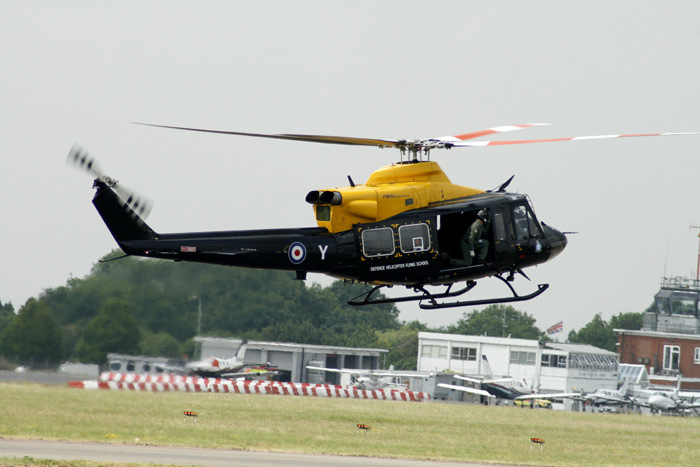 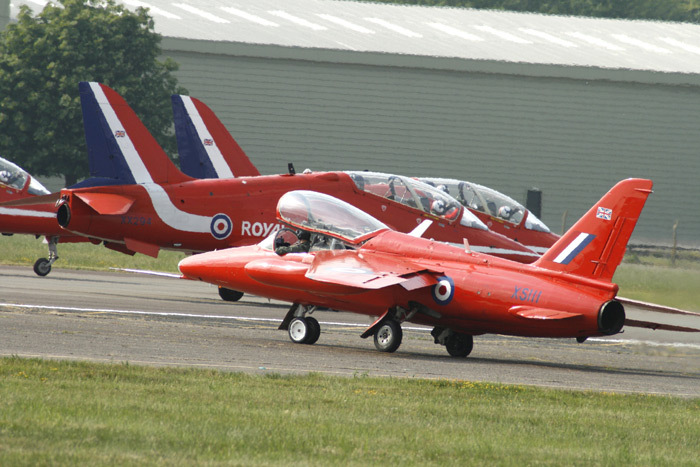 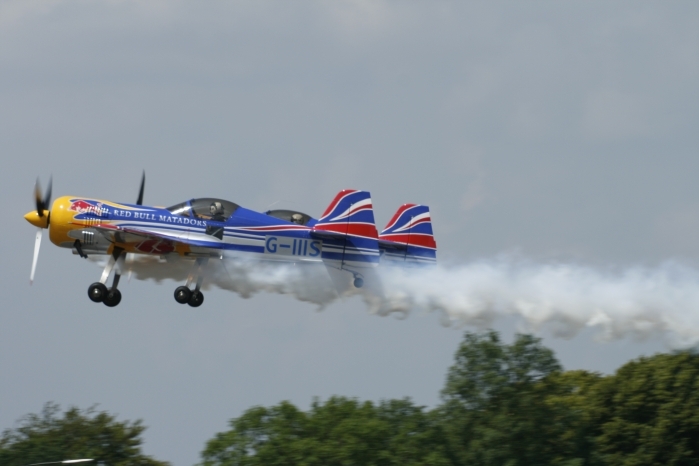 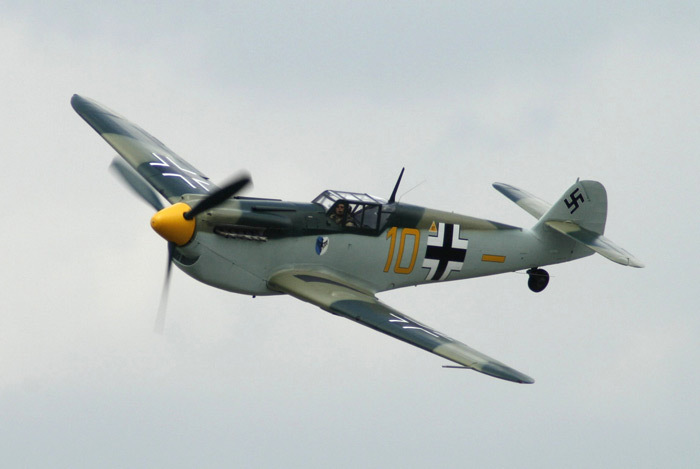 Biggin Hill International Air Fair is held in June at Biggin Hill Airport in Kent. 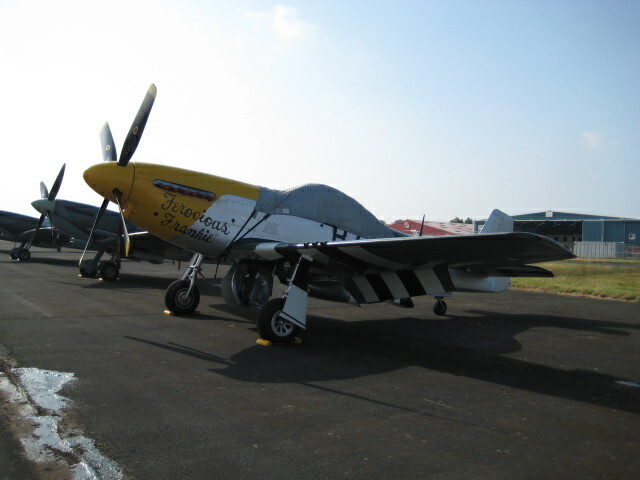 This famous World War II fighter station has been the venue for the air fair for a number of years. 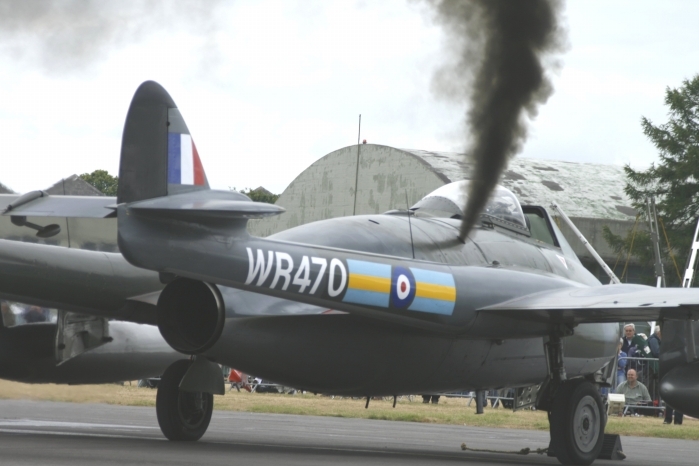 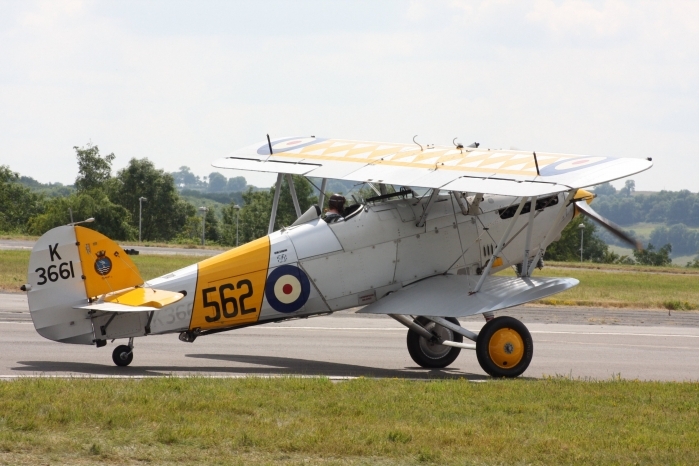 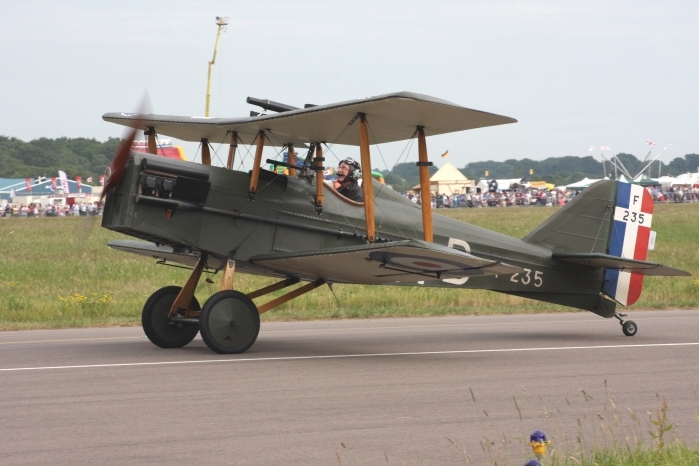 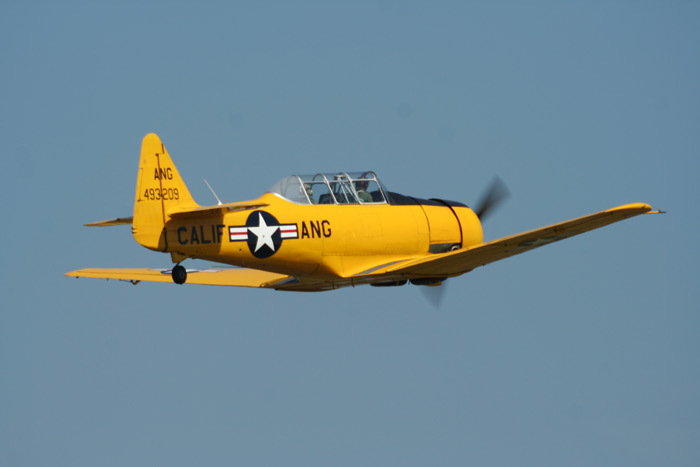 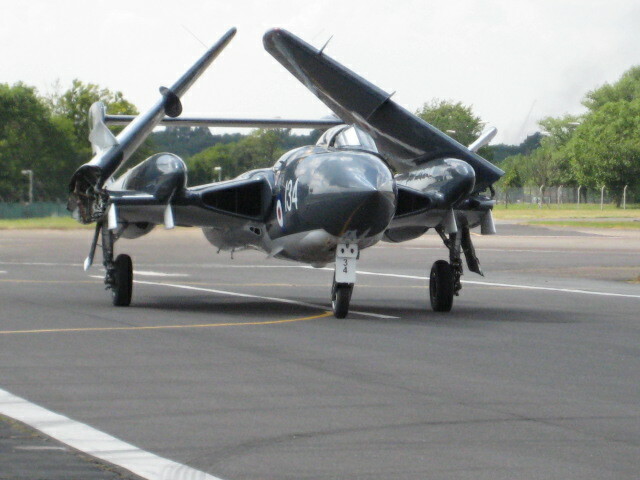 Year after year the organisers deliver the goods with both modern and vintage aircraft from around the world. 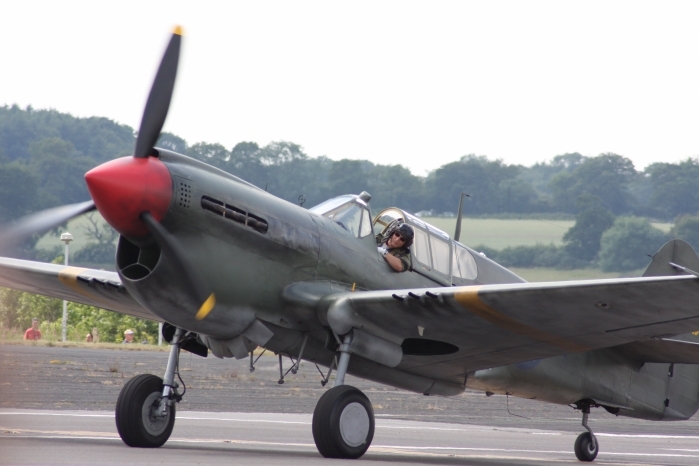 It includes a mix of display teams, World War II fighters and modern day RAF front line aircraft, and of course loads of ground attractions. 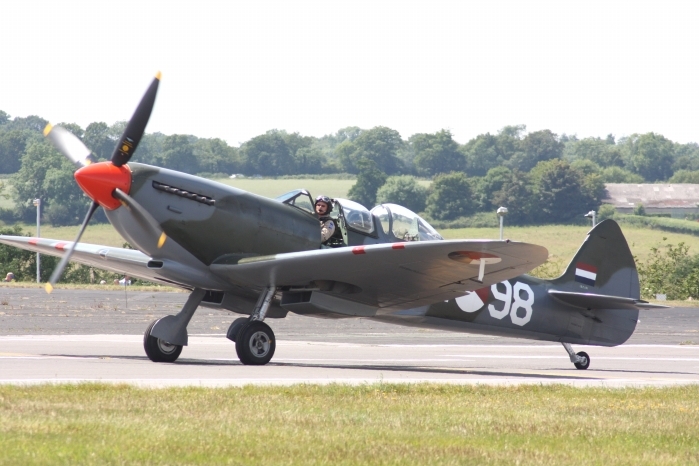 RAF Biggin Hill was one of the most used RAF fighter stations of the war time years, and where better to celebrate the 70th anniversary of The Battle of Britain. 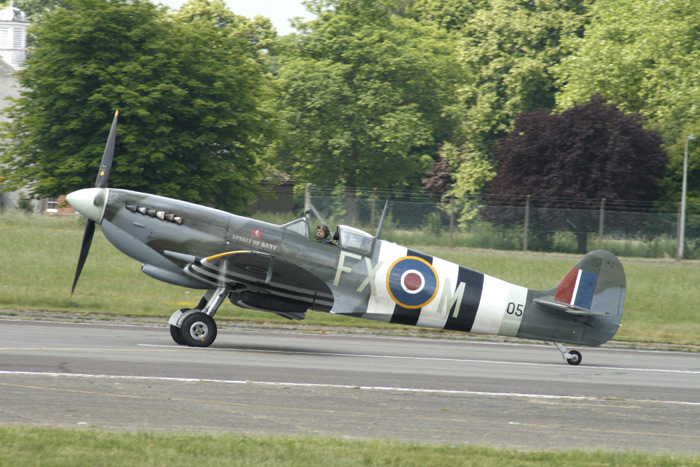 With over an hour of flying from the Royal Air Force and privately owned war birds, recreating the sounds and sights of Biggin Hill during the summer days of 1940. 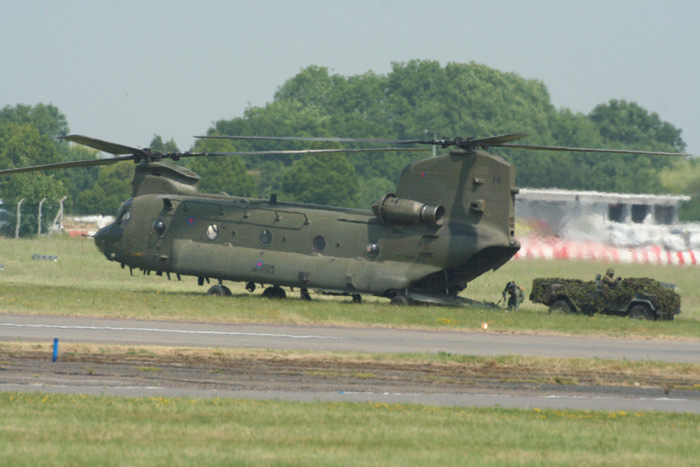 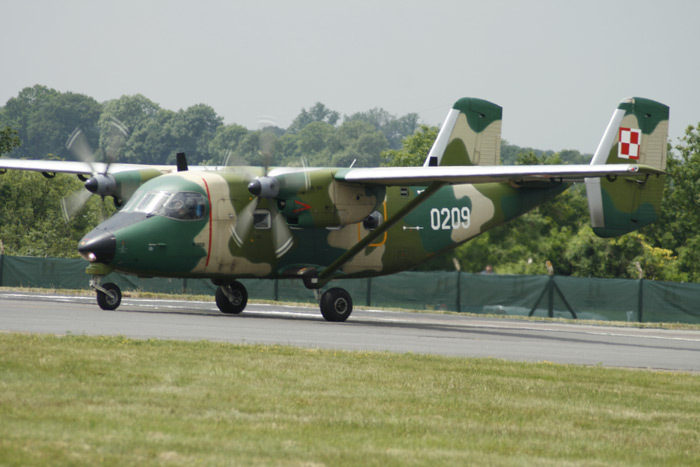 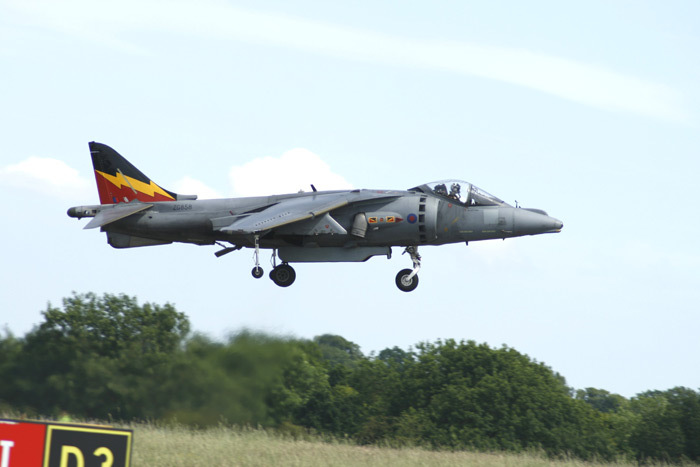 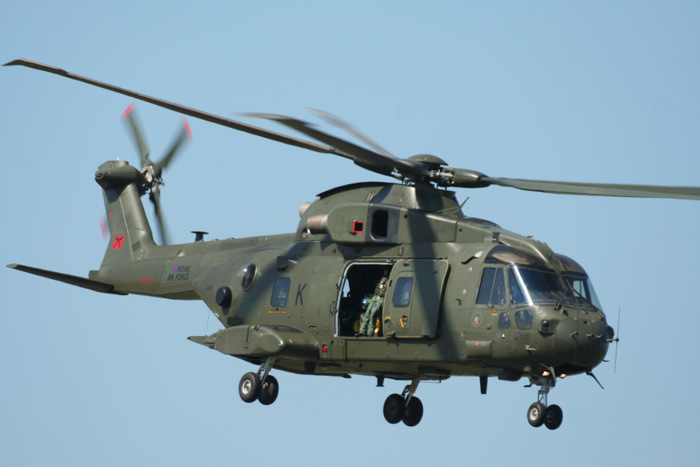 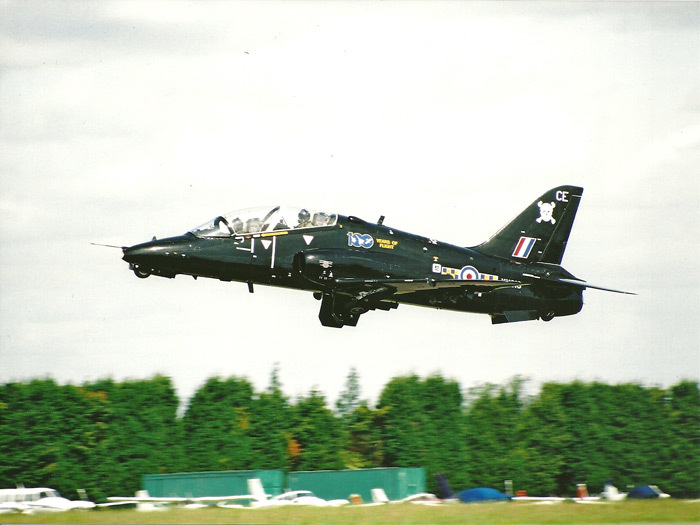 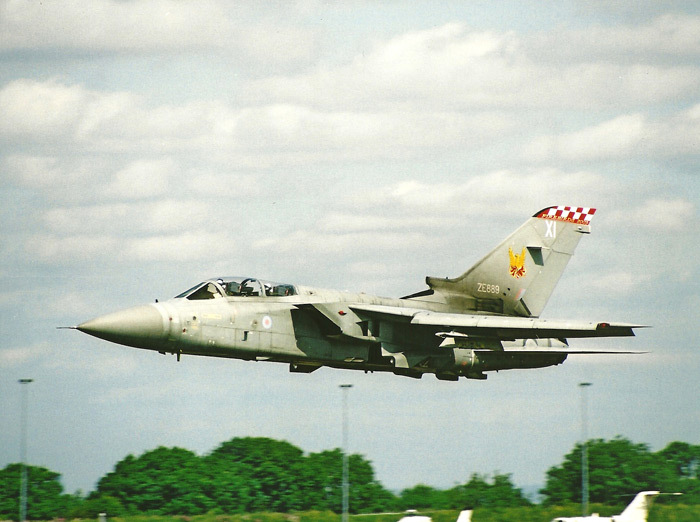 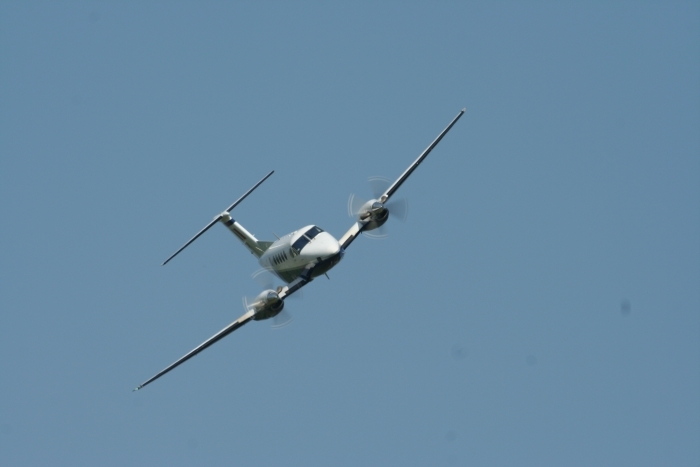 The Biggin Hill Air Fair is one of the longest running UK air shows and as always, has a mix of civilian aircraft through to military heavy metal. 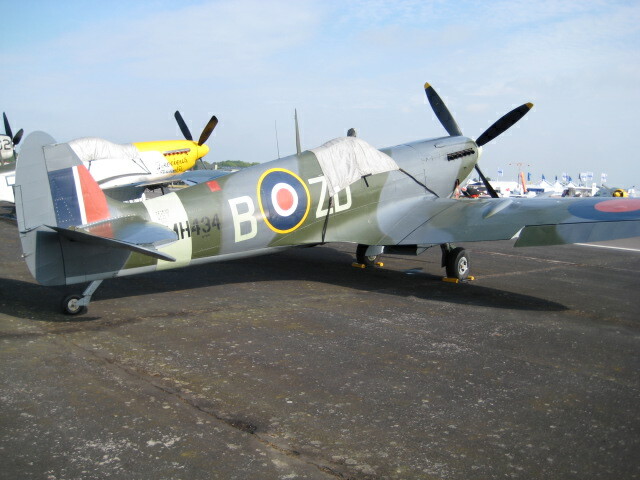 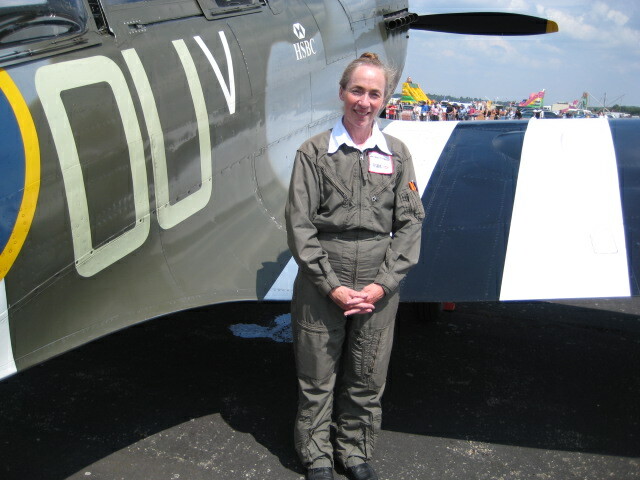 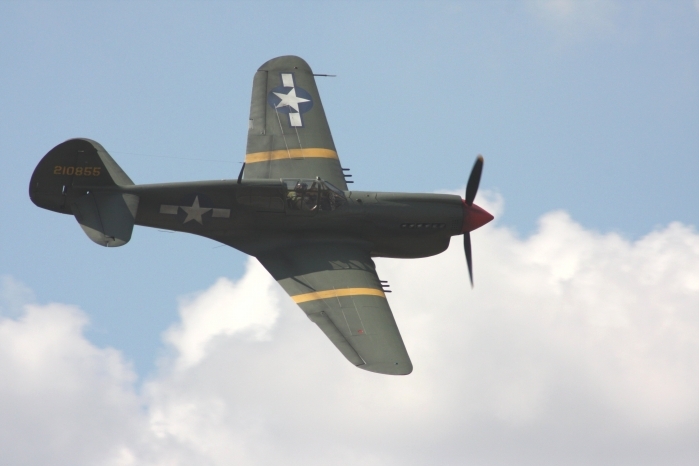 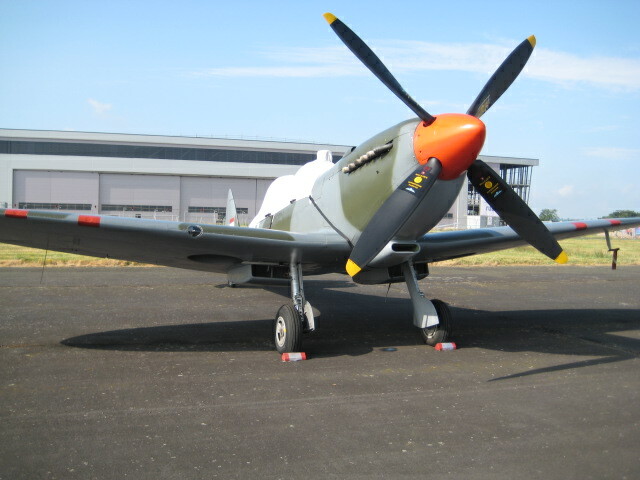 This years show included Hurricanes, Spitfires and other classic war birds. 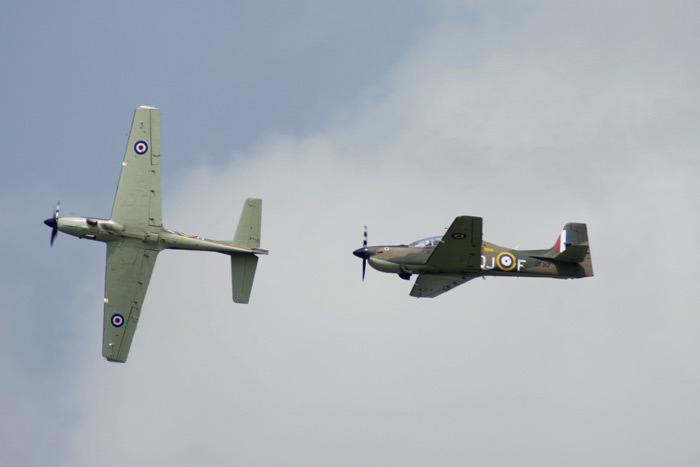 With one of the highlights being the synchro (pair), consisting of the BBMF Spitfire flying alongside a Typhoon FGR4. 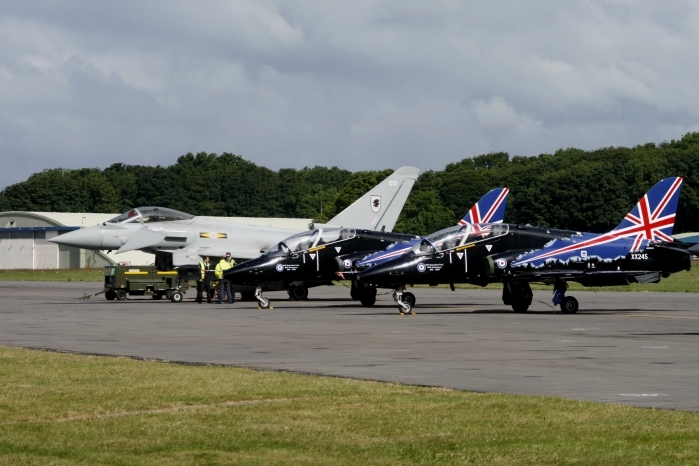 Other aircraft displaying included the BBMF Lancaster, a Harrier GR9 and a Tornado GR4 role demo. 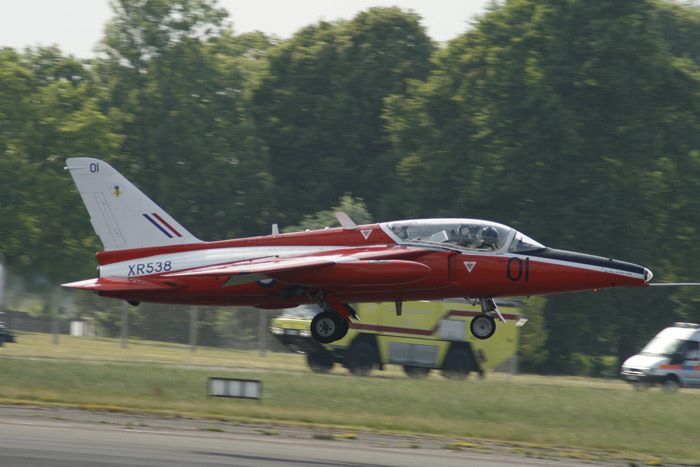 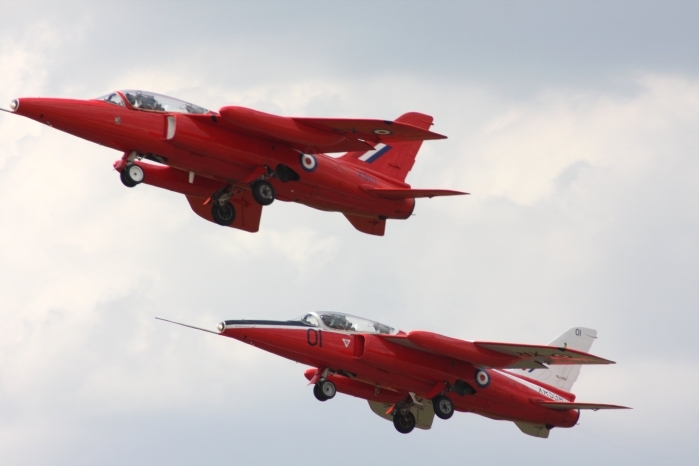 Display teams taking part in this years air show included The Red Arrows, The Blades and The Matadors. 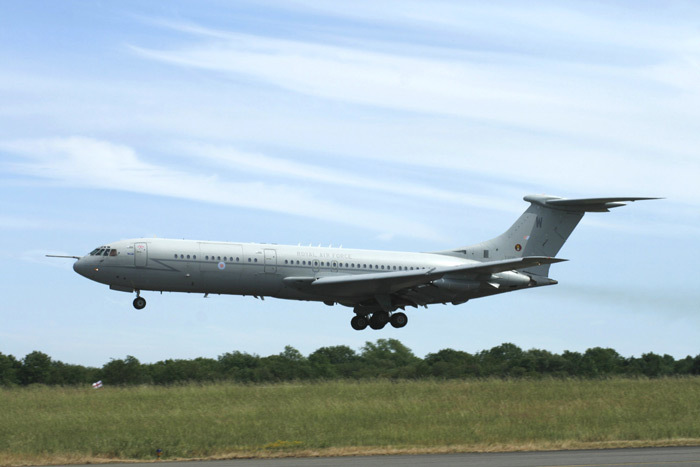 Probably the largest aircraft was a VC10 tanker from 101 Squadron, which arrived on the Saturday and departed on the Sunday. 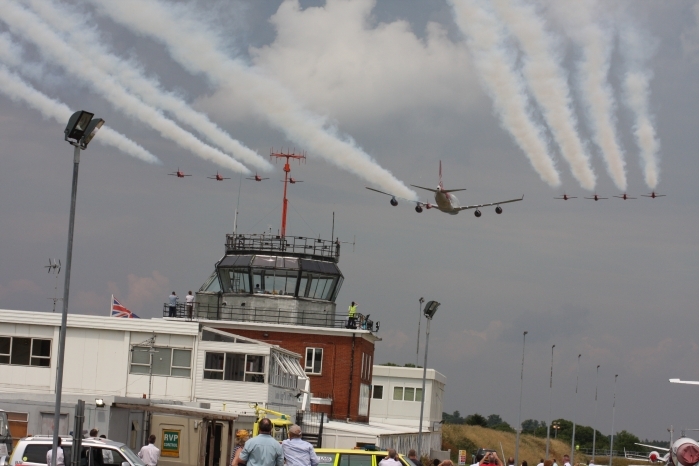 This was probably the best Biggin Hill Air Show for a number of years and what could possibly be the last air show to be held at this venue. 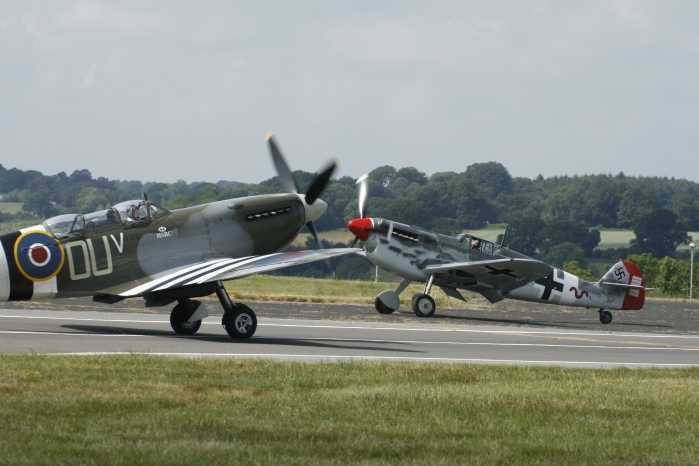 Biggin Hill Air Show set at this famous World War II fighter station is the largest private organised air show in Europe. 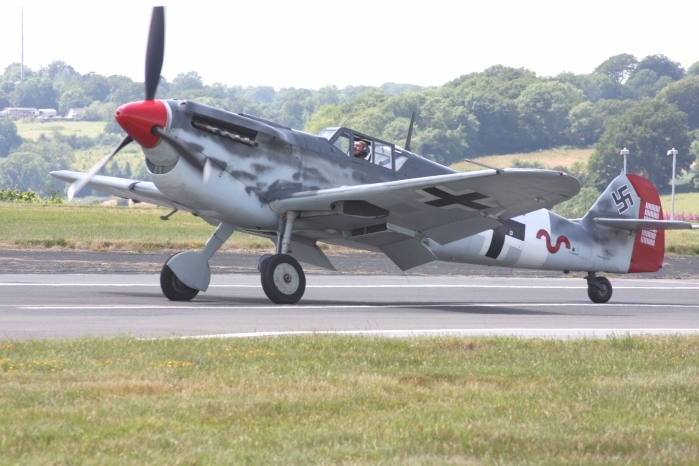 Visitors to Biggin Hill were treated to a fantastic line up of aircraft as well as numerous sideshows, stalls and exhibitions. 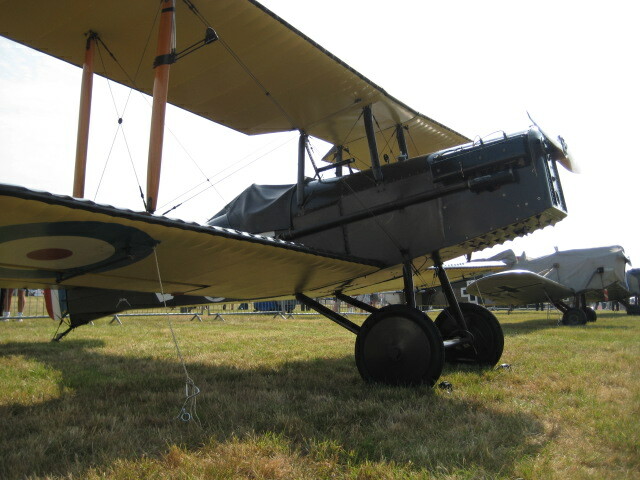 This well organised air display included aircraft from The Great War Display Team displaying their replica World War II machines, in contrast to the RAF's front line aircraft of today. 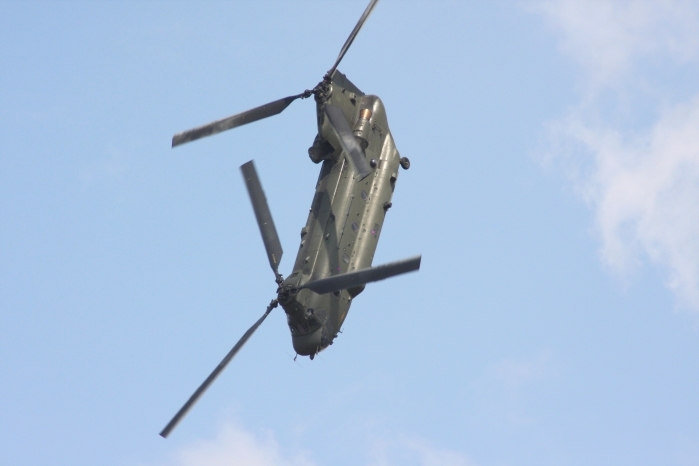 Such as the Typhoon, Chinook and Apache. 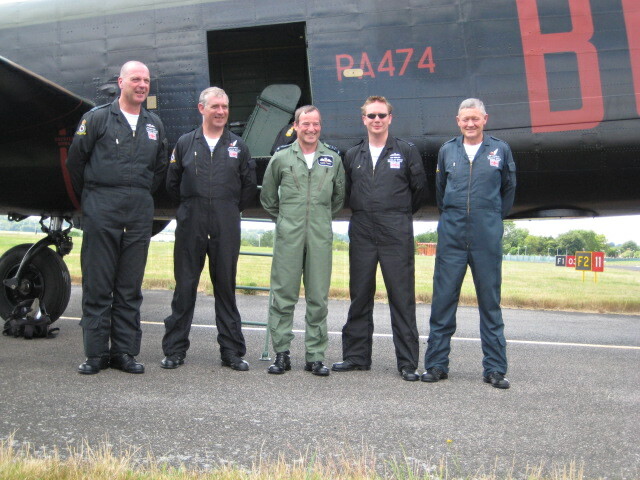 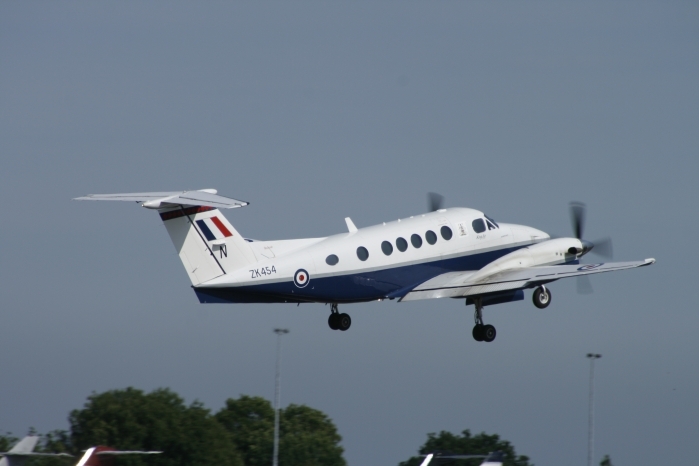 Other types of RAF aircraft in attendance were the King Air, the Tutor and the Hawk. 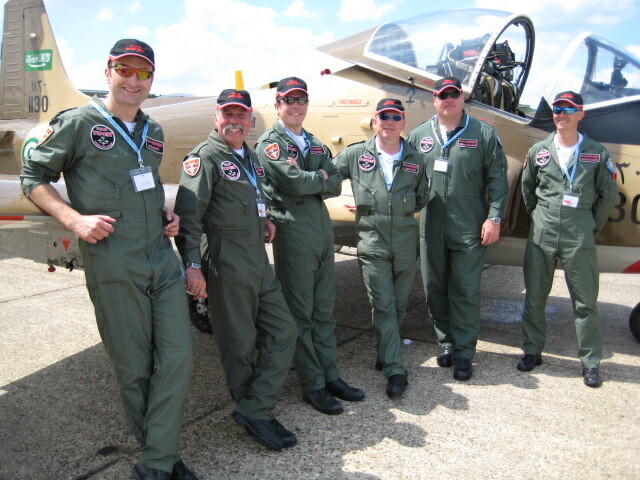 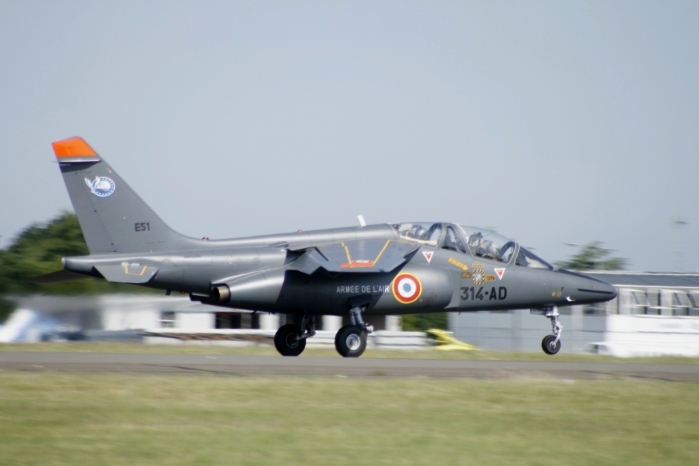 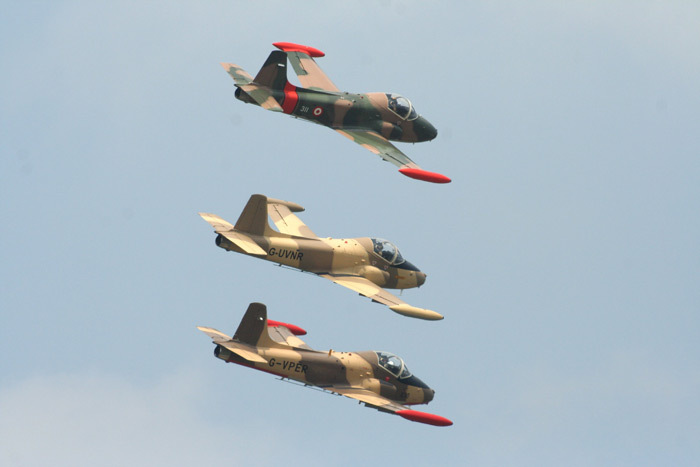 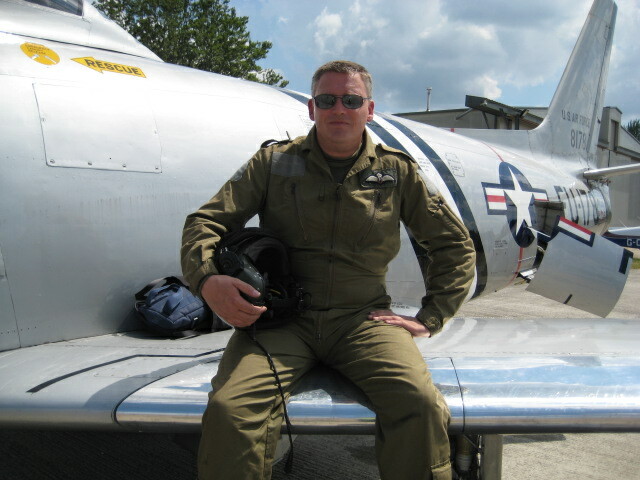 New for 2009 were The Vipers, a formation team consisting of four Strikemaster aircraft. 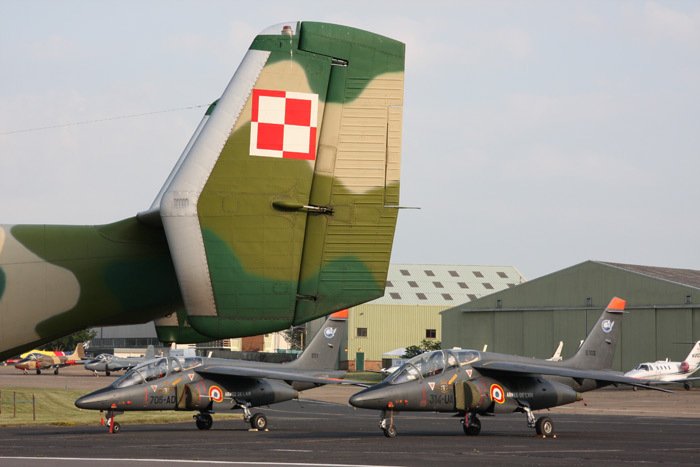 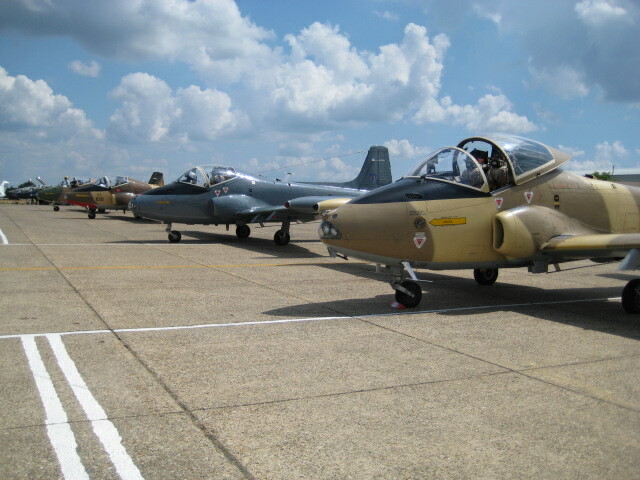 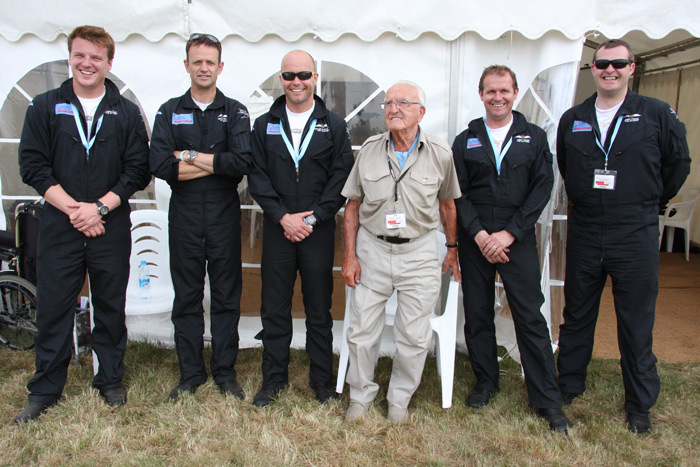 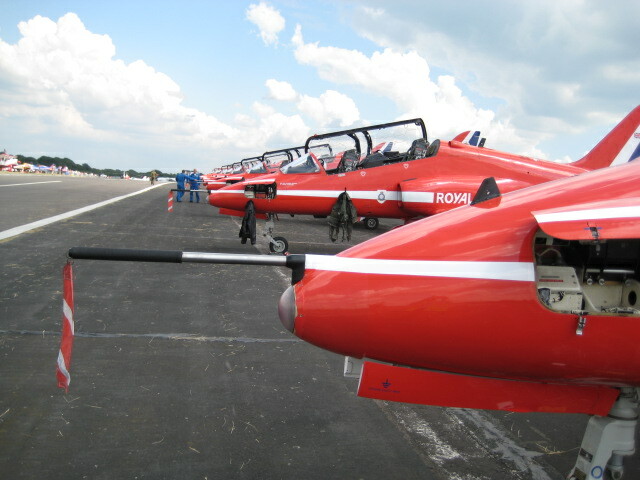 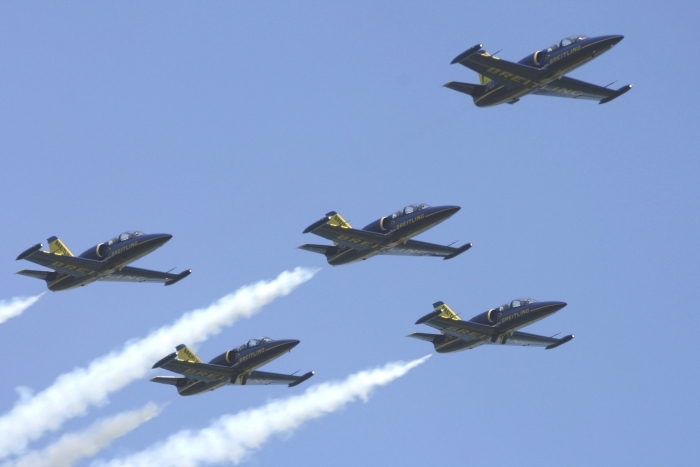 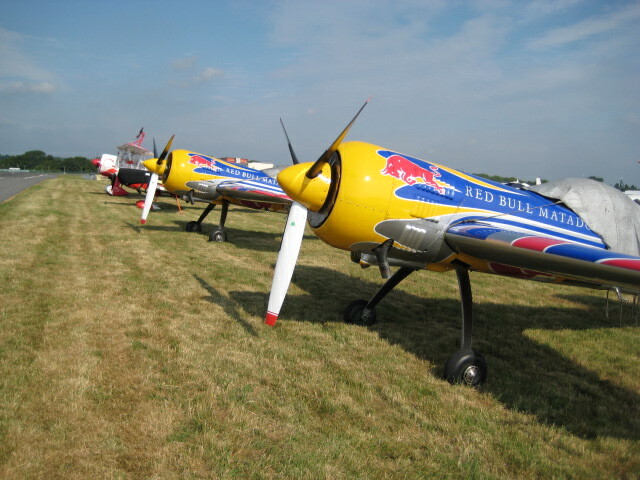 Other displays were carried out by The Blue Eagles, Team Guinot, The Swift Glider and The Aerostars. 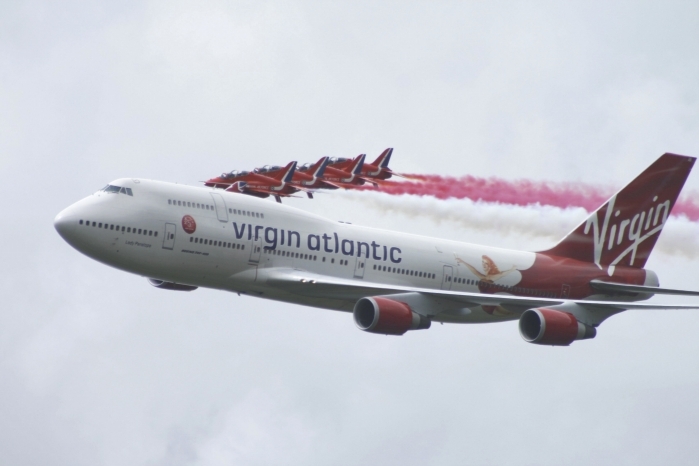 With a special flypast on sunday celebrating the 25th anniversary of Virgin Atlantic Airlines of a Boeing 747 airliner in formation with The Red Arrows. 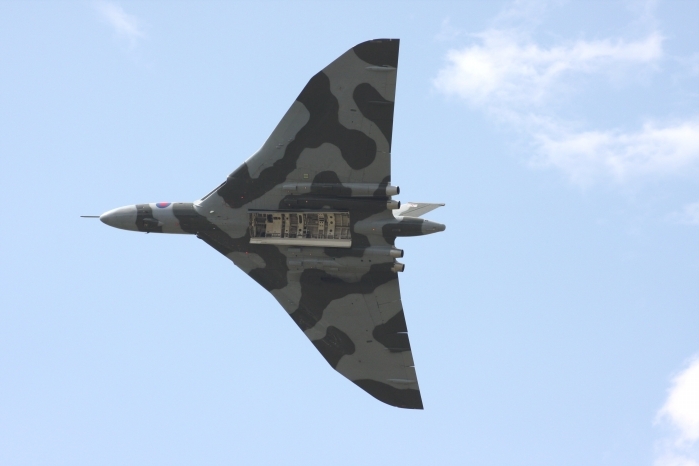 The Vulcan put in an appearance on Saturday, starting its display as the BBMF, Spitfire, Hurricane and Lancaster taxied in. 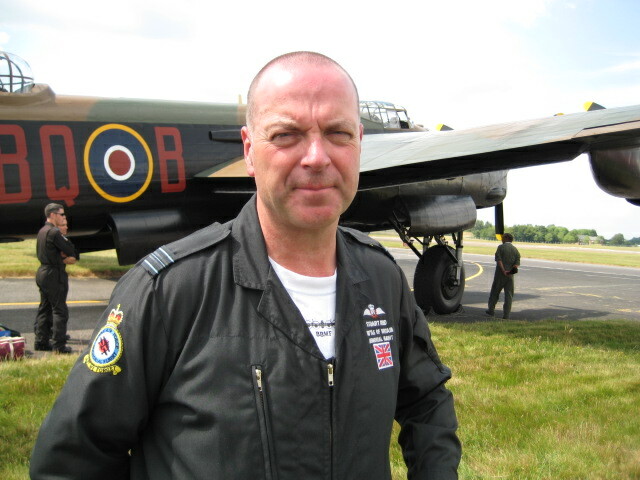 A surprise guest on Saturday at Biggin Hill was the RAF's Chief of Air staff, Air chief Marshal Sir Glenn Torpy, who was making his first trip aboard the Lancaster. 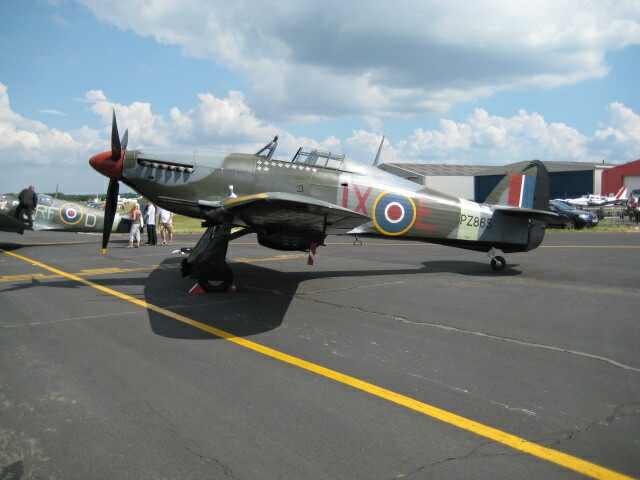 A large variety of vintage aircraft put in appearance, including the Sea Vixen and the Sabre, several Mks of Spitfire, a Mustang, a P-40 Kittyhawk, a Messerschmitt Me 109 Buchon and finally a Hawker Nimrod. 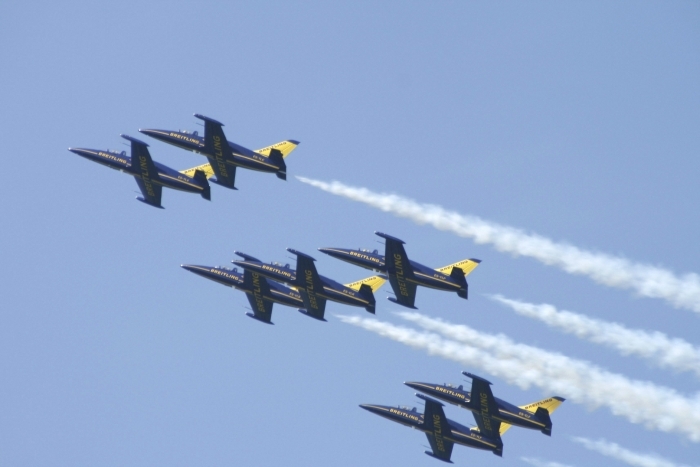 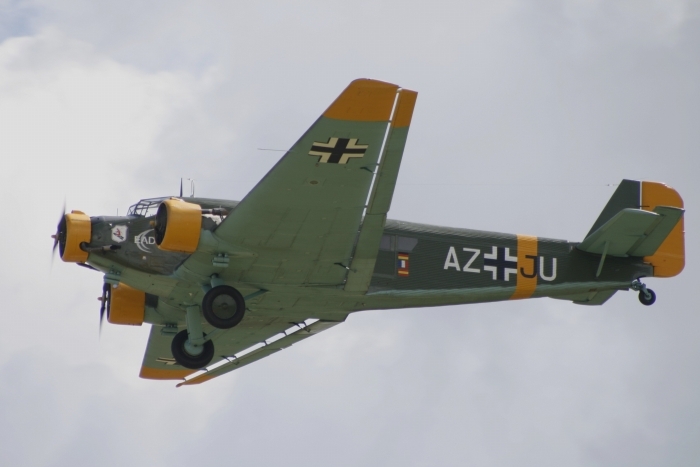 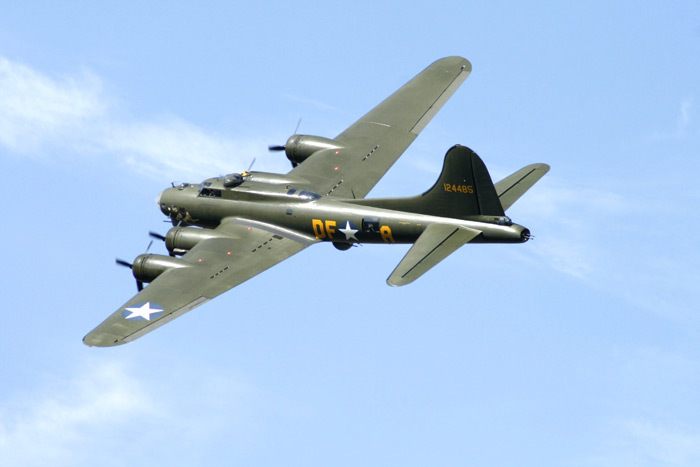 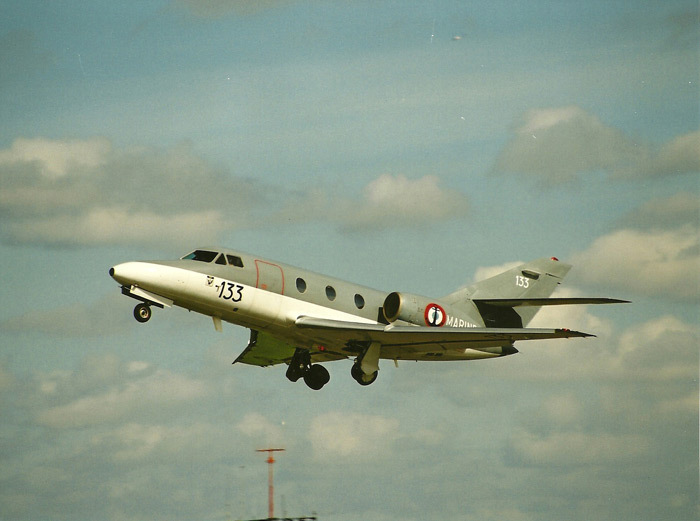 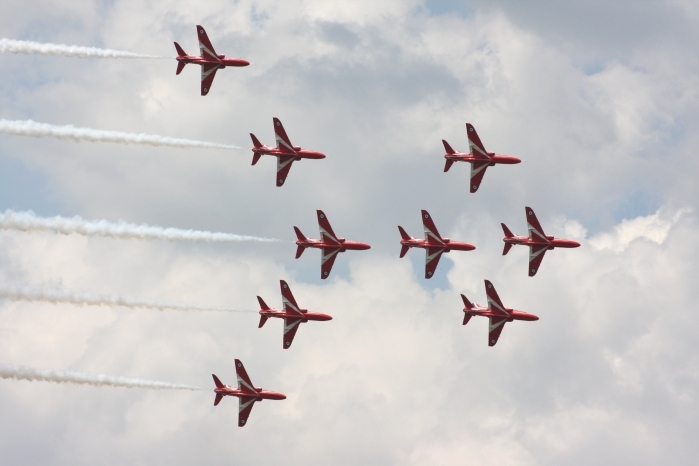 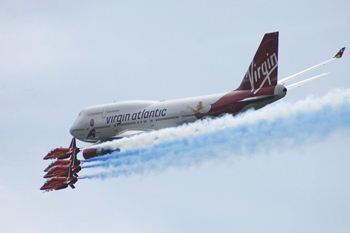 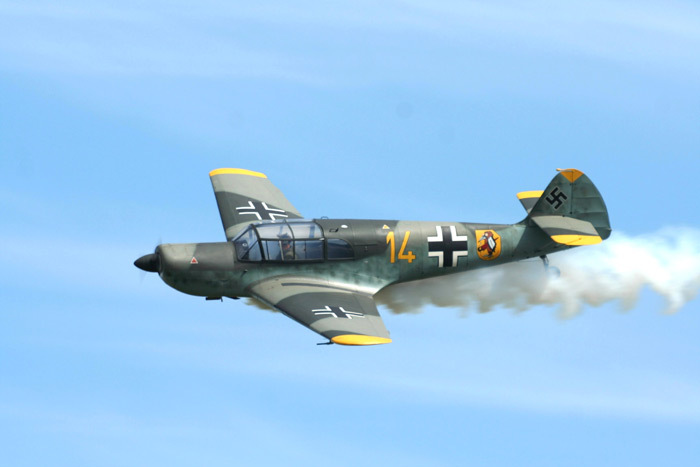 The Biggin Hill International Air Fair is probably one of the most famous air displays, and is one of the longest running air displays in the world. 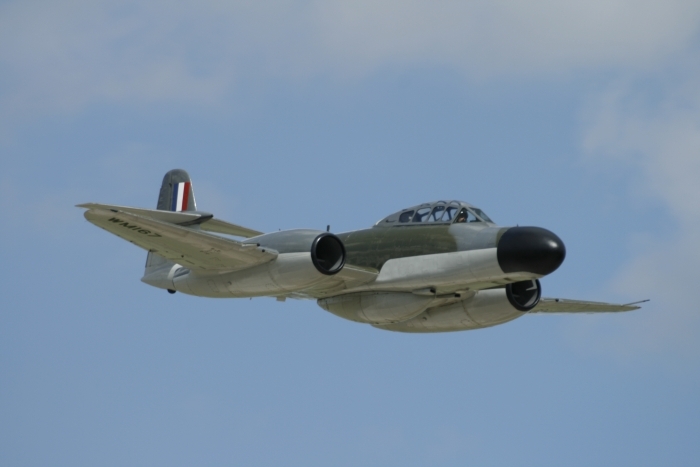 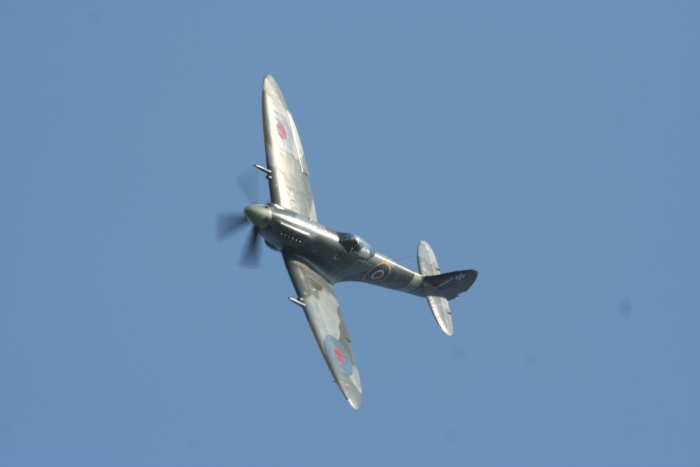 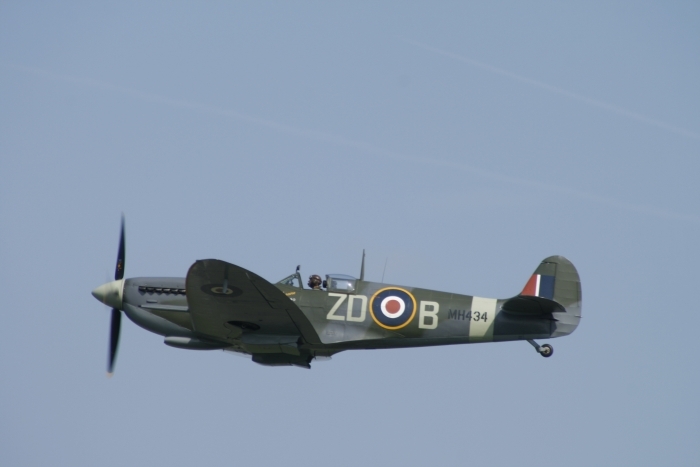 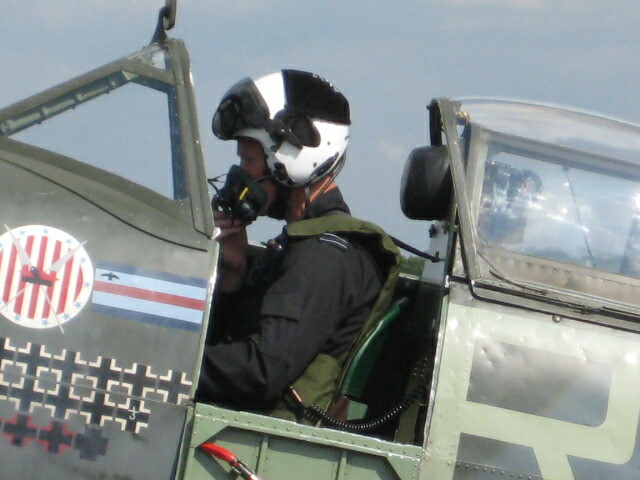 Set on the famous RAF Battle of Britain Flight, this two day show is always worth including on your calendar. 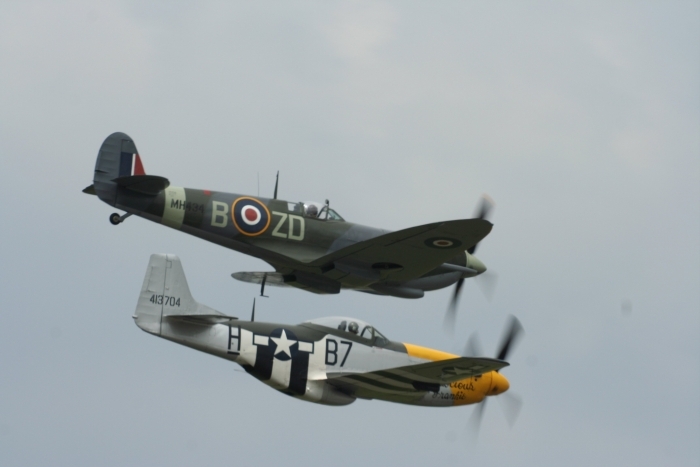 The two days had a combined crowd approaching 120,000 people. 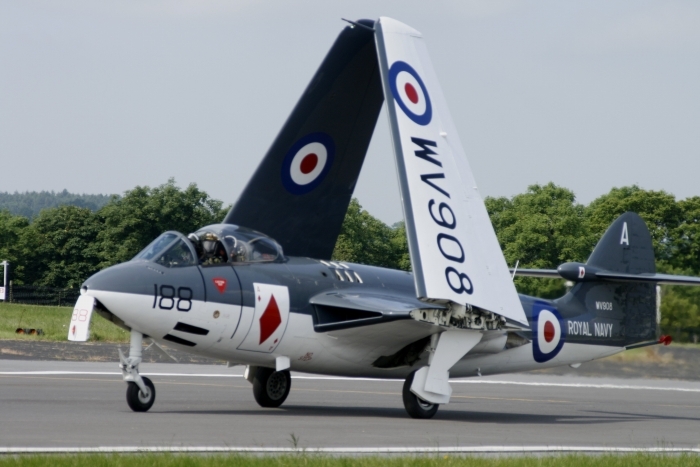 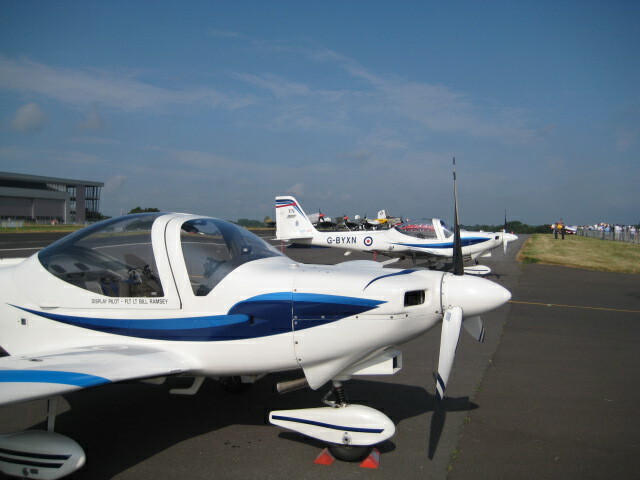 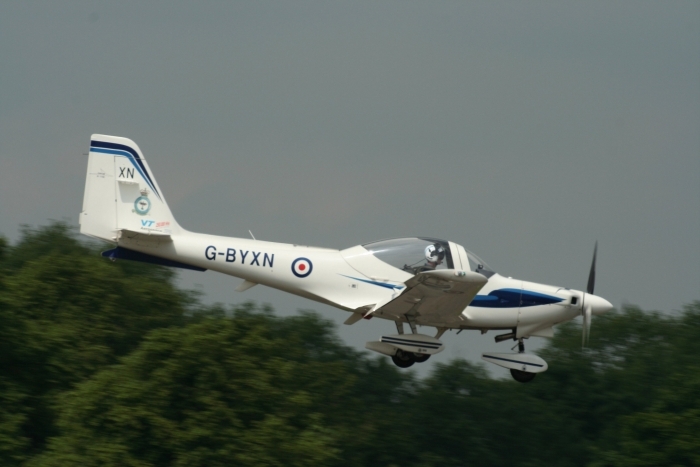 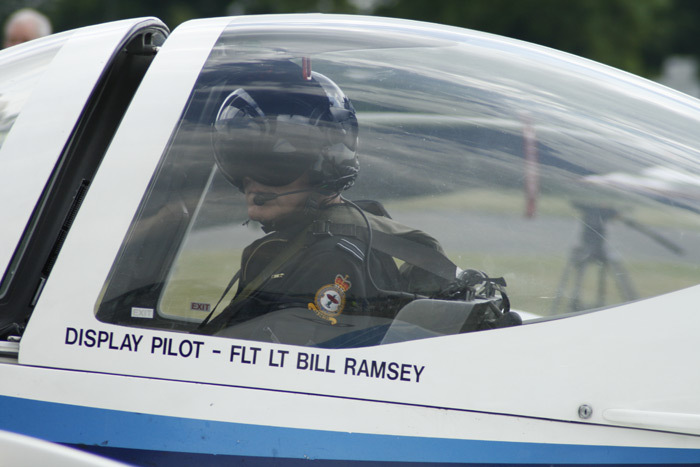 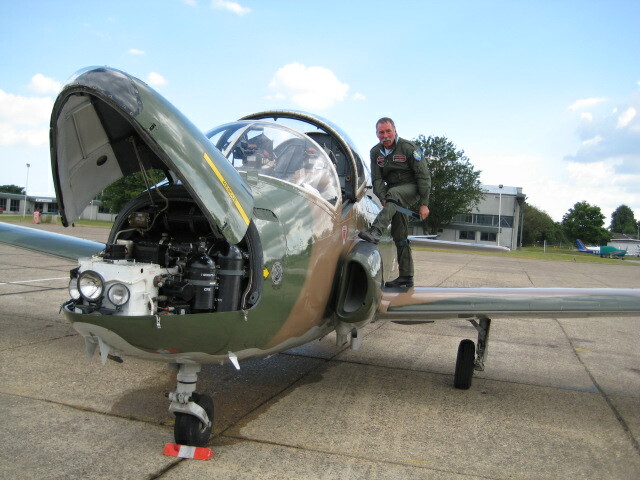 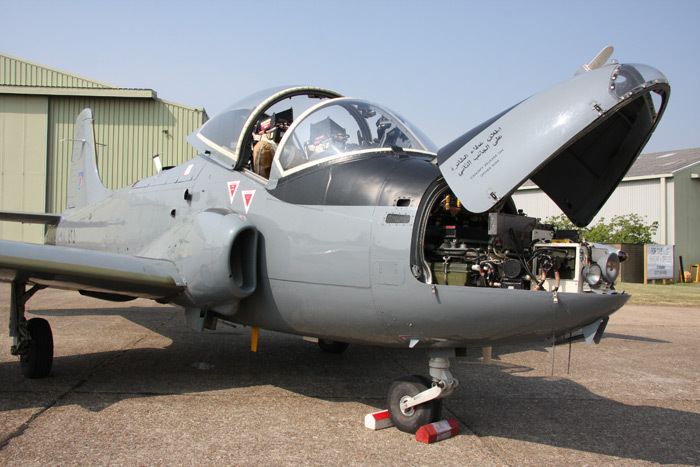 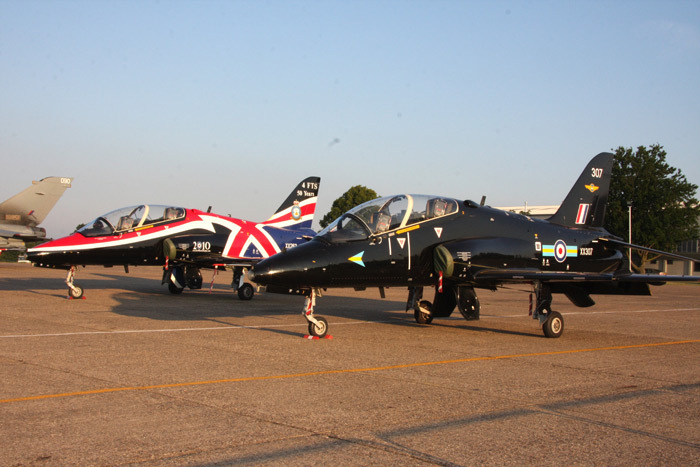 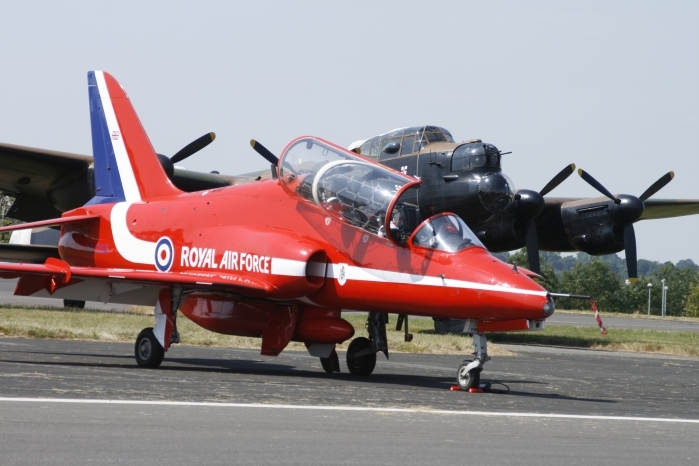 With a lot of the show devoted to RAF displays, including the Grob Tutor, Tucano, Hawk, King Air and Typhoon. 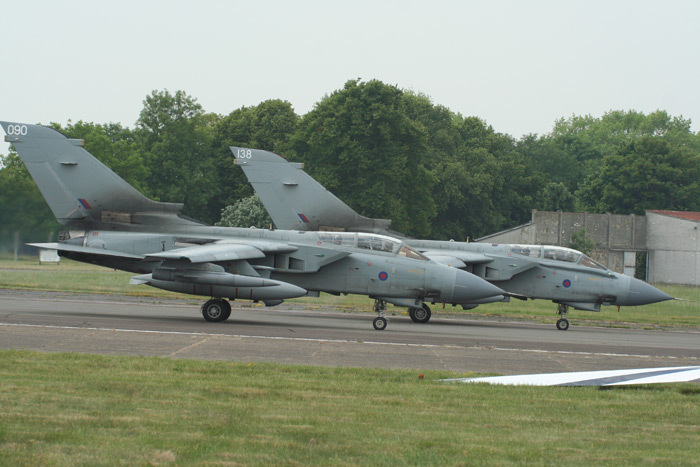 With probably the main attraction of the day being the RAF's role demonstration, which is made up of Tornados, Hawks and various helicopters. 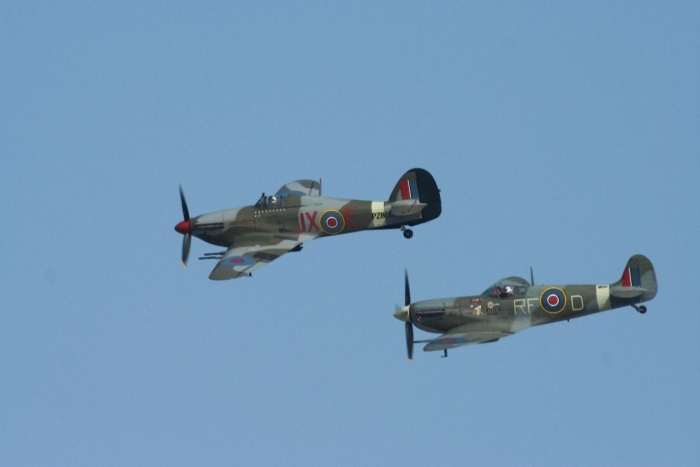 Celebrating the 90th anniversary of the RAF, The Battle of Britain Memorial Flight attended with a Spitfire, Hurricane and Lancaster. 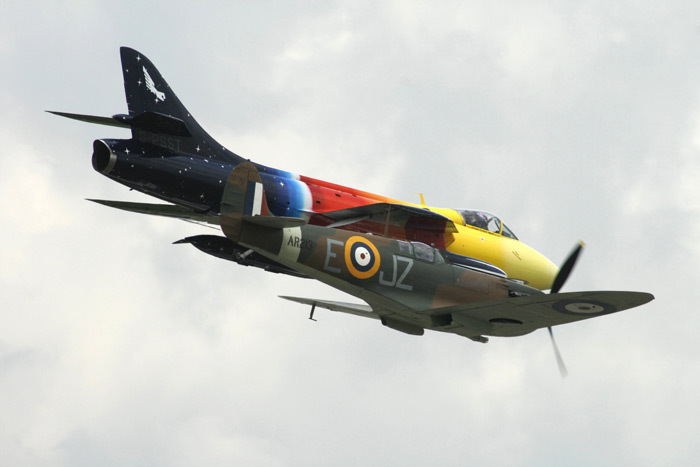 Also making an appearance The Breitling Display Team, a Douglas DC-6, Sea Hawk, Gloster Meteor, Spitfire and Mustang. 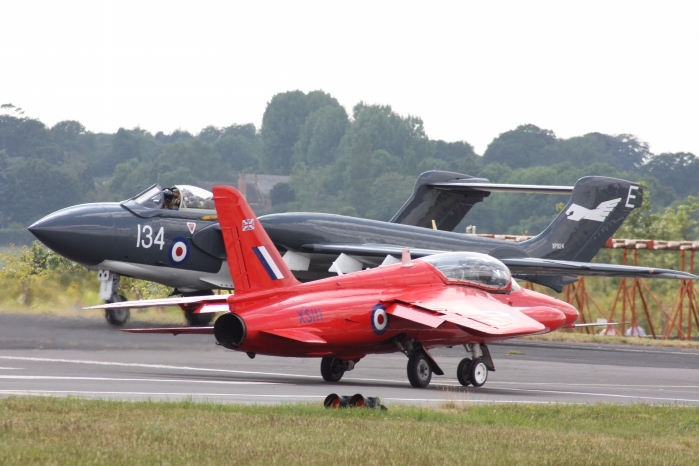 With the recent decline in air shows it was good to celebrate the 40th anniversary of Biggin Hill. 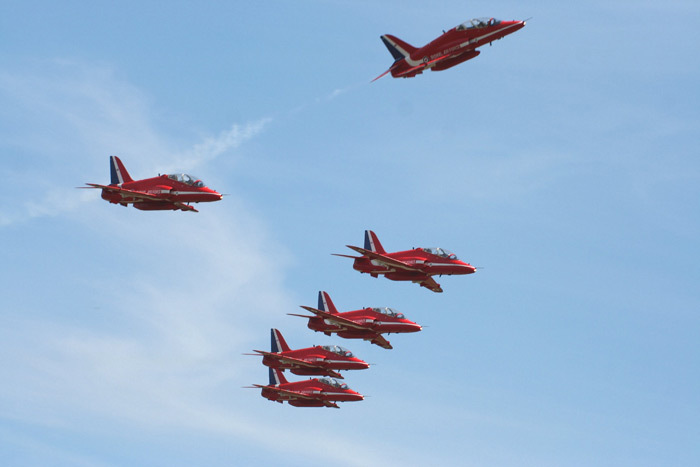 This two day event created forty years ago by Jock Maitland to promote air travel. 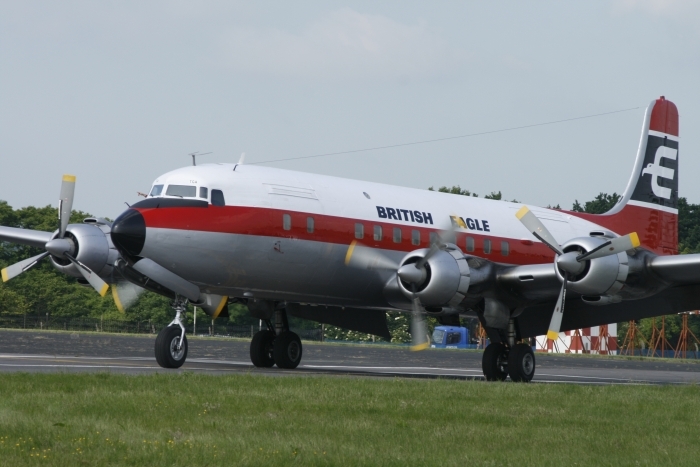 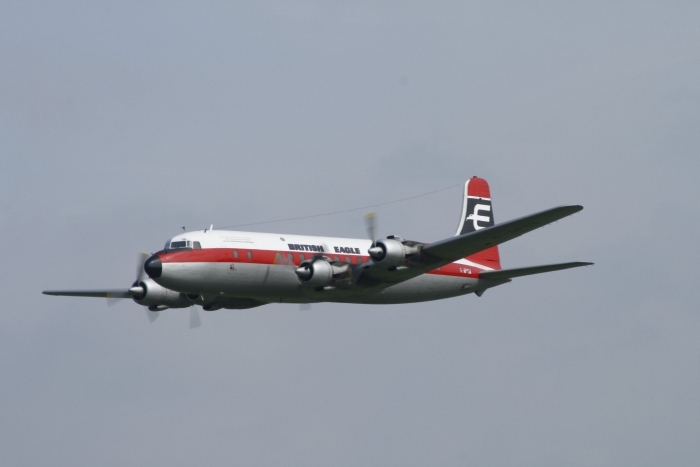 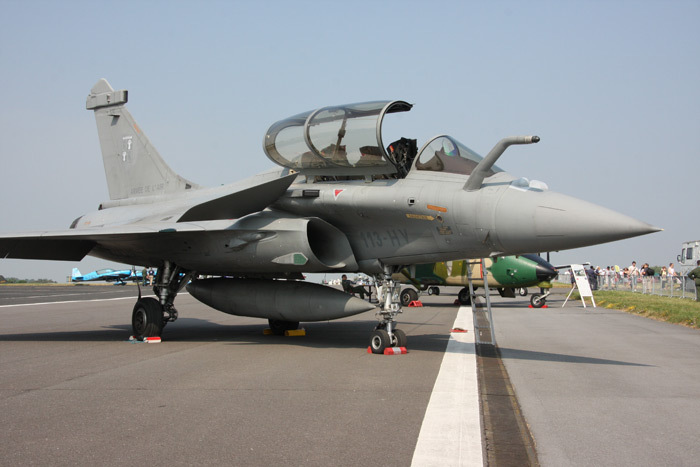 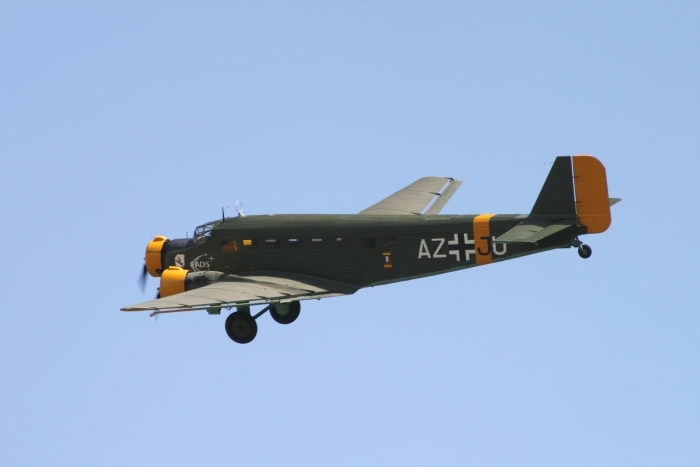 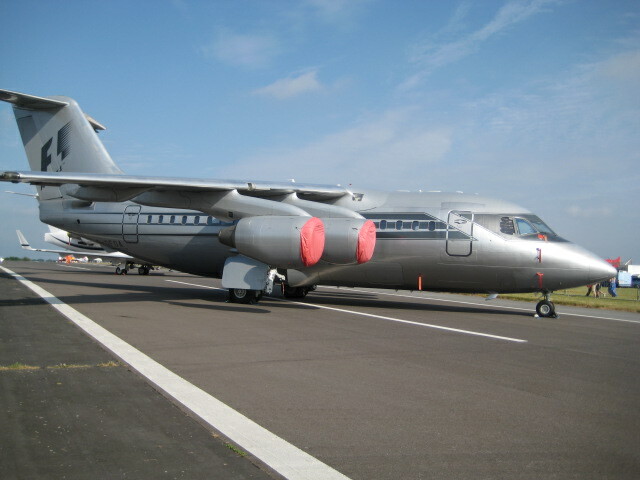 The show consisted of a large static group of airliners and also an informal flying display. 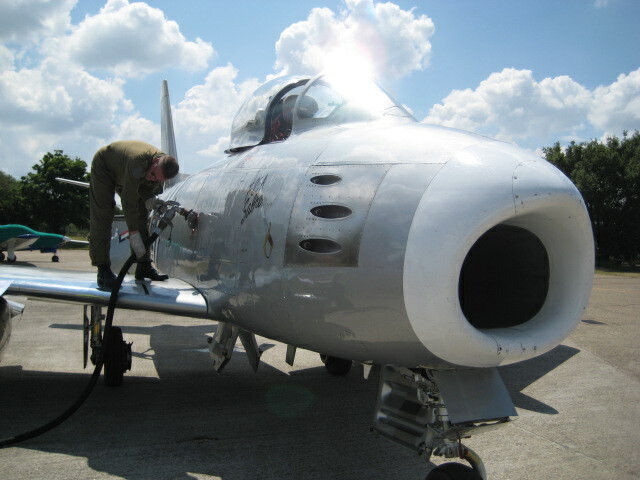 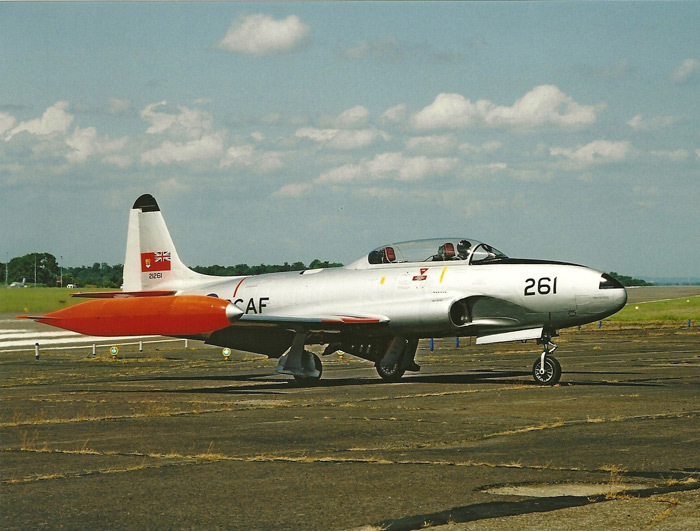 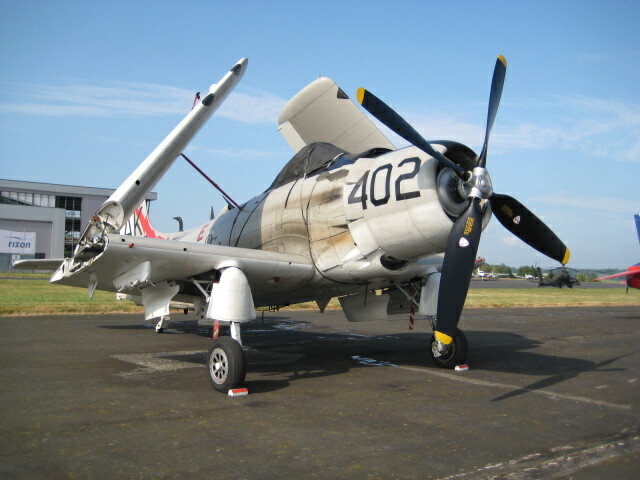 From 1965 the flying display has been planned and eventually replaced the static display as the main event. 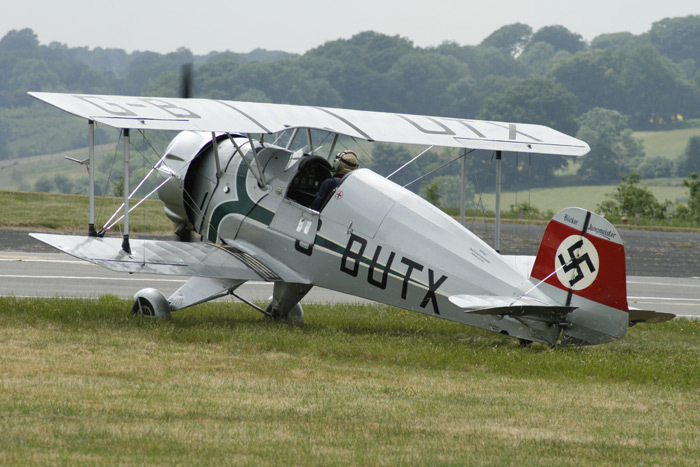 As always there's plenty of fun for all the family. 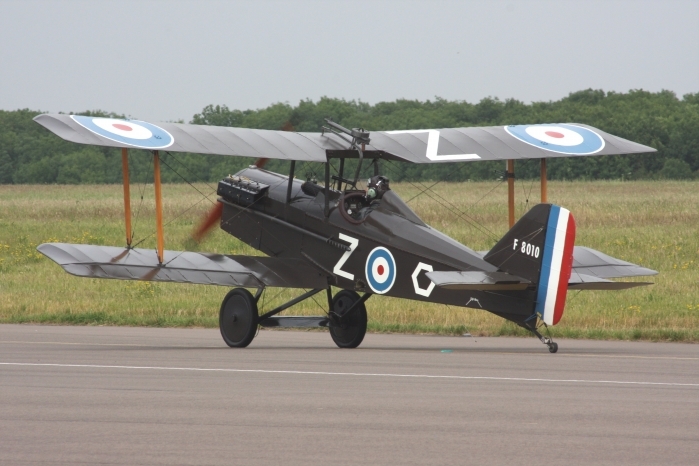 One of the main themes for this year was the celebration of the 100 years of powered flight. 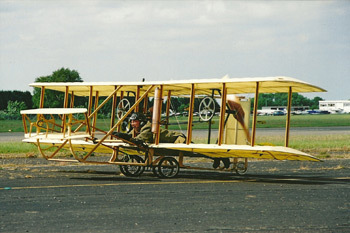 Which saw the show being opened by the Wright Flyer Replica, which taxied down the taxiways past the modern day aircraft.